Hotel “Annabelle” was set to work in summer 2008. Choosing “Annabelle” as a place of rest you can combine business negotiations and pleasant rest in historical center of the city. The hotel is situated on the crossing of historical streets. From one side it adjoins to the main street of Odessa, Deribasovskaya street. From the other side we get on Ekaterininskaya street which adjoins to the square of the same name. From Ekaterininskaya square Odessa dropped it’s front ramp – Potiomkinskie stairs.. In 5 minutes you can see the famous Opera Theatre, then walk along Primorsky boulevard under the shadows of chestnut trees and then breath in a fresh sea air on Odessa Marine Trade Port. On weekends it is nice to spend time on Sobornaya square enjoying works of Odessa artists. In 10 minutes walk there is Russian Dramatic theatre and Ukrainian theatre. You can enjoy a lot of restaurants and cafes situated very close to “Annabelle”. “Annabelle” offers 7 comfortable non-smoking rooms. There are 5 rooms of improved standart category and 2 rooms of economy class. Each room is equipped with LSD tv-set, free Wi-Fi zone, telephone, electronic safe, air conditioner and bathroom with shower cabin and hair dryer. Breakfast is included to the room rate. All extra services are paid in accordance to the rates accepted in hotel. 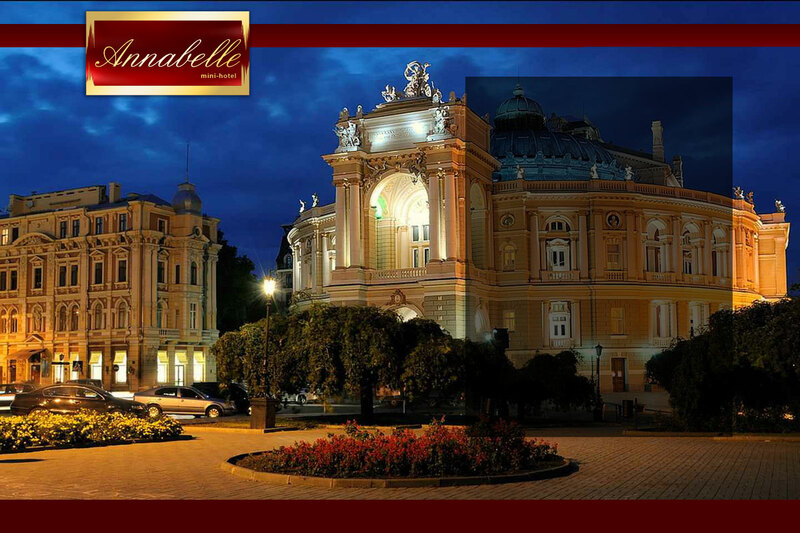 Hotel “Annabelle” is always glad to welcome you!